Gluten is a protein molecule present in many grains such as wheat, barley, oats, and rye. Its name has a peculiar etymology. In fact, it is derived from the Latin word “gluten” which means glue. Actually, the function of gluten in the dough is to give it elasticity and to boost the fermentation process. 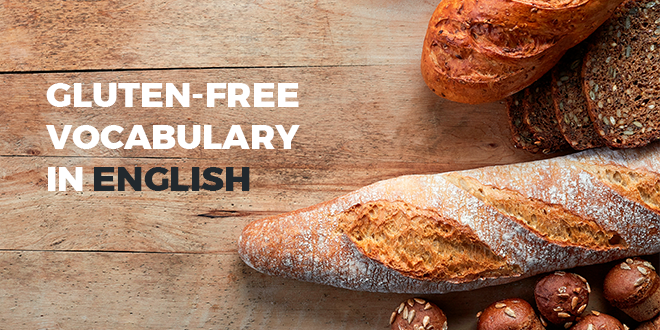 The list of English words for the gluten-free diet from @abaenglish. In subjects suffering from coeliac disease, the gliadin found in gluten triggers an immune reaction that causes the intestinal villi to flatten with serious consequences to the digestive process and to the absorption of important nutrients. 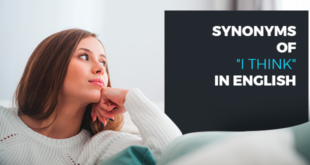 If not diagnosed early, coeliac disease can cause serious disorders such as developmental delays, anaemia, and osteoporosis. Coeliac disease affects 1% of the population worldwide. Since in many cases it is not diagnosed, the number of coeliacs could actually be much higher. If you are coeliac or have an intolerance to gluten, it is important that you know the English vocabulary for gluten-free foods to avoid unpleasant surprises when travelling abroad. Always check the ingredients of the food carefully and inform the restaurant staff about your intolerance. Generally, in Anglo-Saxon countries, it is easy to find places that will meet your needs and that can guarantee you a gluten-free menu. On the other hand, it is important that you can voice your needs and understand the menu. That is why today we have chosen to offer you a list with the essential words for your gluten-free stay as well as a useful selection of phrases you may need. I’m a coeliac. Is it possible to have a gluten-free pizza? Do you have any gluten-free flour? Can I have a slice of gluten-free cake? Does this cream contain gluten? Could you recommend a restaurant where I can find gluten-free food? Can I have a gluten-free beer? 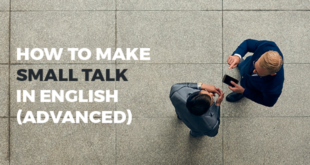 When traveling, it is practically indispensable to be able to communicate in English. 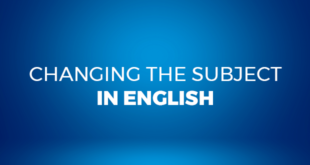 It is practically impossible to imagine a complete series of occasions in which it is important to know how to express yourself, but if you think you need to improve your English, why not try the online course from ABA English? We offer 144 free video classes and the same number of short films to help you develop the skills necessary for daily communication.